Hi Friends! 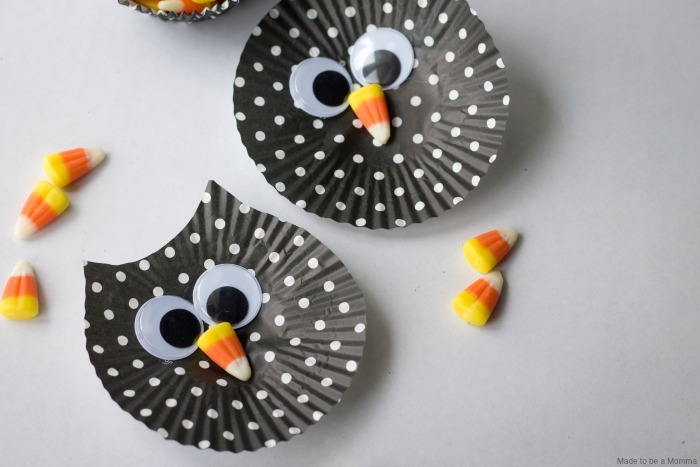 It’s Katie from Made to be a Momma here again sharing a super fun and simple Halloween Owl that your kids will just love! 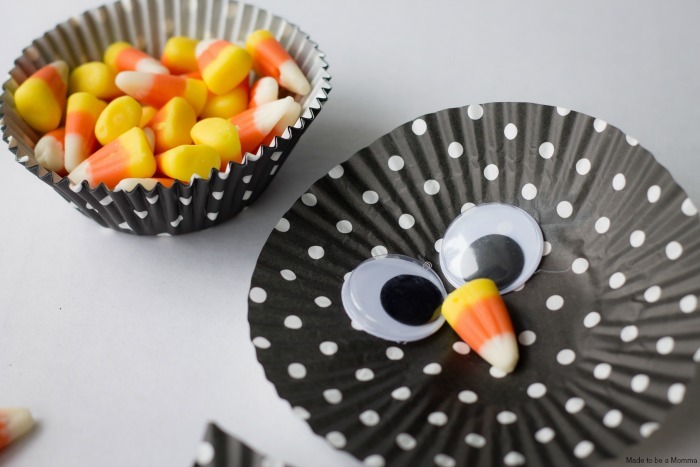 My little guy loves crafting and baking with me so I am always trying to think of fun simple crafts he can do- he is only 3 1/2 so they need to be somewhat quick. Anytime we craft we try to make it a learning session as well. I asked him what shape are the candy corn, cupcake liner and so on. Have fun with your kids! Too often I hear parents say “I just don’t have the patience to craft or bake with my children” and that makes me sad because it’s such a fun time! I totally get dinner time is not when you want to have your kid “help” you in the kitchen but try to set some time to just let them create and then praise them for it! Love this idea! 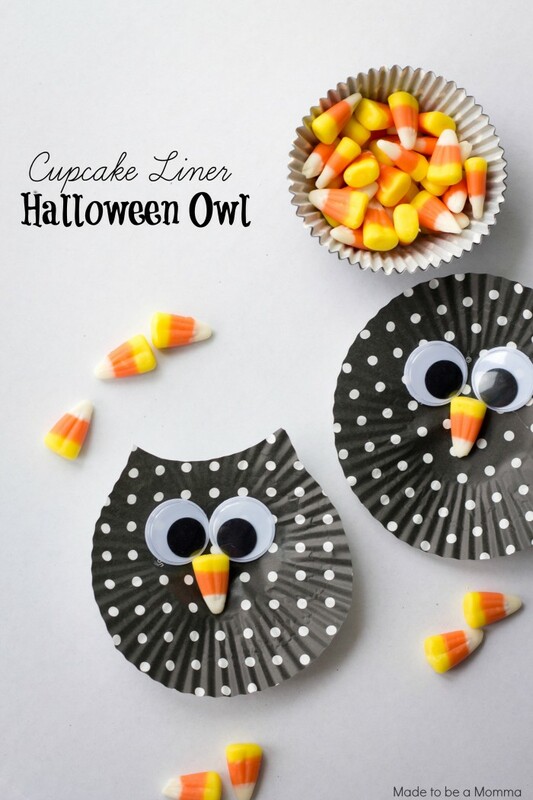 So many things I can use this simple and affordable idea for! Thank you for sharing!